Simple forms, bold lines, shady open spaces, bright blue and green window shutters on whitewashed walls, small balconies crowned by flashy purple bougainvilleas, pure dazzling sunlight everywhere; walking around the town of Mykonos is like visiting an art gallery, where a genius mind has composed a vivid tableau that incorporates the past and present of the Aegean culture and lifestyle! The traditional architecture of Mykonos meets the standards of modern design in the sense that it celebrates simplicity and gracefully obeys to the forces of nature. Stormy winds, merciless sun exposure and long months without any rain demanded from locals to build “aerodynamic” cubic-shaped houses with flat roofs and very small windows at the northern side to ensure protection from the winds. Inside the houses cleverly placed air corridors guarantee a light fresh breeze even on the hottest summer days whereas stone walls, rooms with differing ceiling heights, interior yards and semi-open verandas regulate temperature according to the weather conditions. 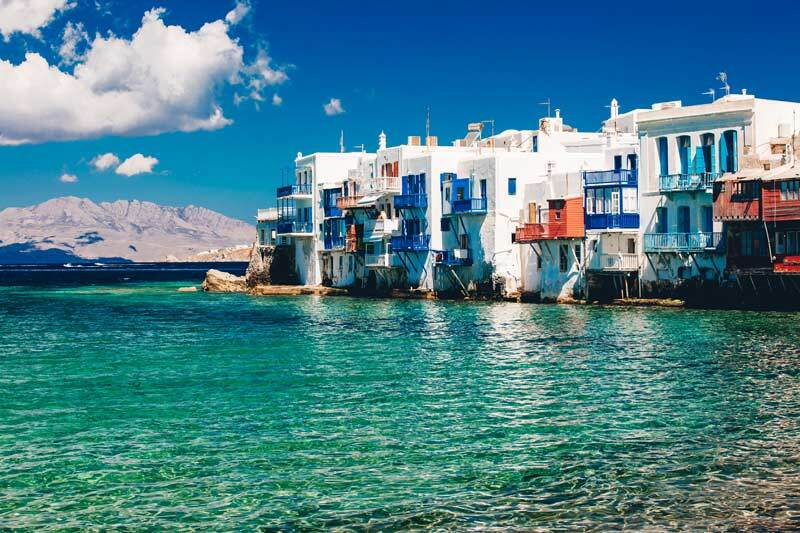 It is more than obvious that long before energy-friendly specifications were set, the architects who worked in the Cyclades had discovered the secrets of wise climate management. With earthy materials and decoration dedicated to simplicity, the houses of the island stand resilient and proud, reflecting their owners’ personalities. 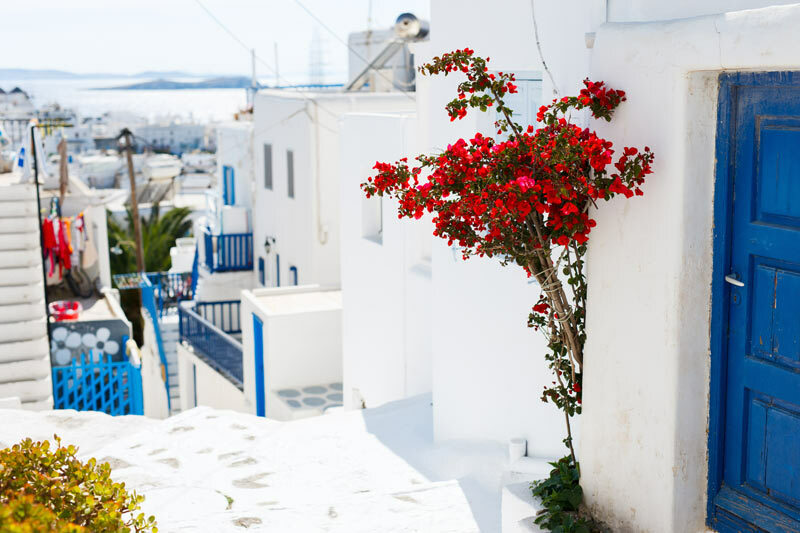 Mykonos is one of the finest examples of Cycladic architecture that, among other, perfectly incorporates the Venetian influences on the area. The most characteristic example is Little Venice, the beautiful, picturesque and extremely popular neighborhood of the main town. Characteristic features of the local architecture are also the famous windmills and the usually blue-domed churches and chapels, many of which —along with some medieval monasteries— are declared as historical monuments. Historically speaking, it seems that the Cycladic architecture reflects the shortage of building materials and the need for protection from both the weather and the foreign invaders. 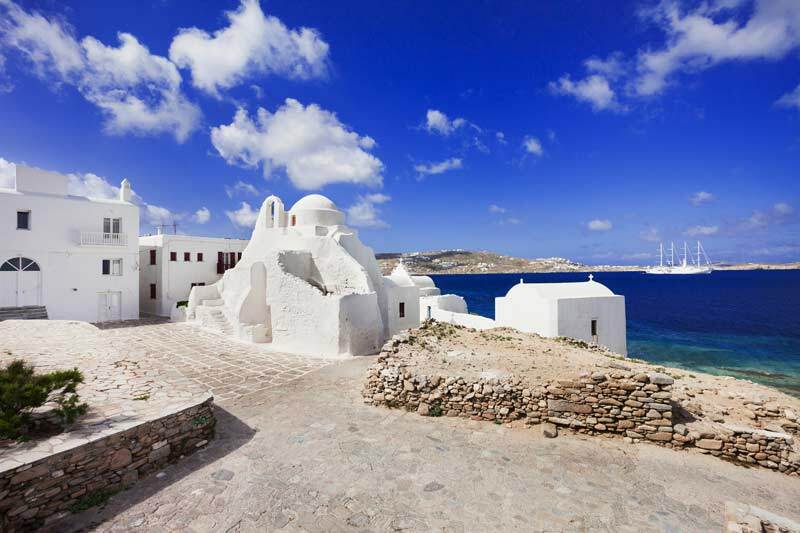 In Mykonos this protection is ensured by the way the houses were built side by side, separated by narrow streets that form a labyrinth and are also considered as one of its famous worth seeing sites of the island.